Maine’s coastal waters are warming quickly. Lobster may not be abundant forever so fishermen are finding new ways to make a living on the water. 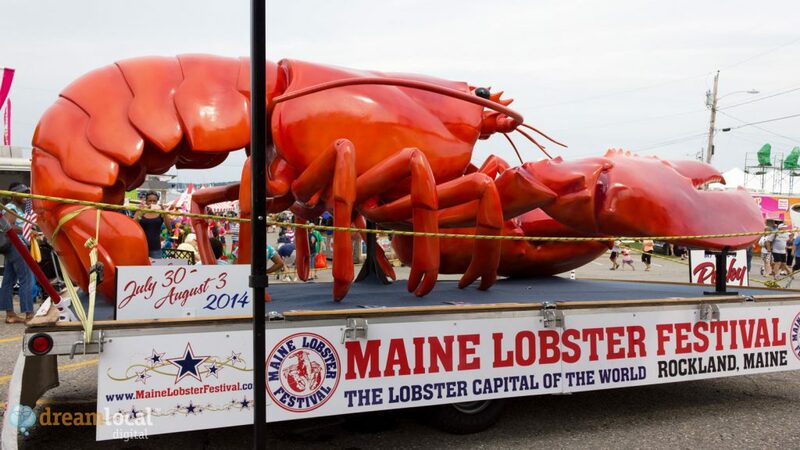 Maine Lobster Festival Float – Rockland Maine. The waters off the coast of Maine are some of the fastest warming saltwater seas in the world. That warmth is disrupting fisheries and livelihoods. Some fishermen in Maine are adapting to disruption, even capitalizing on it. Maine Public Radio’s Fred Bever reports. FRED BEVER, BYLINE: Jeff Putnam has lived on the island of Chebeague, not far from Portland, all his life. Like his father, he’s a lobsterman, and he recently bought a boat big and powerful enough to allow him to set lobster traps way offshore right through the winter. JEFF PUTNAM: I invested more in my boat than I invested into my house (laughter). BEVER: But over the years, Putnam’s witnessed change in the seas around him – the closure of cod and shrimp fisheries, the decimation of lobster populations to the south. 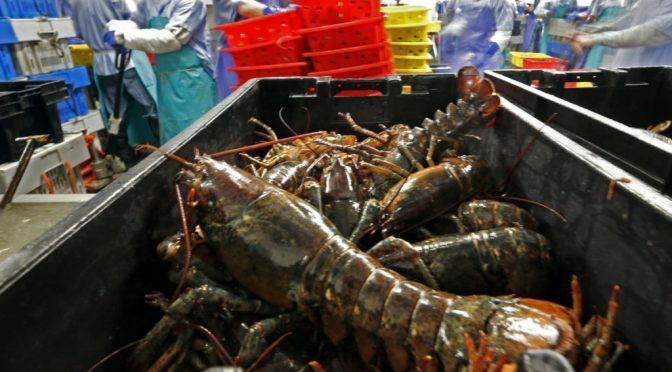 He’s worried that as the waters continue to warm, Maine’s lobster population could crash, too, ending a way of life for him and his three young children. PUTNAM: Hopefully, the lobster resource will still be strong when they grow up, but there’s certainly no guarantee that’s the case. So I wanted to show them that there is another way to make a living, to stay on this island that I love. 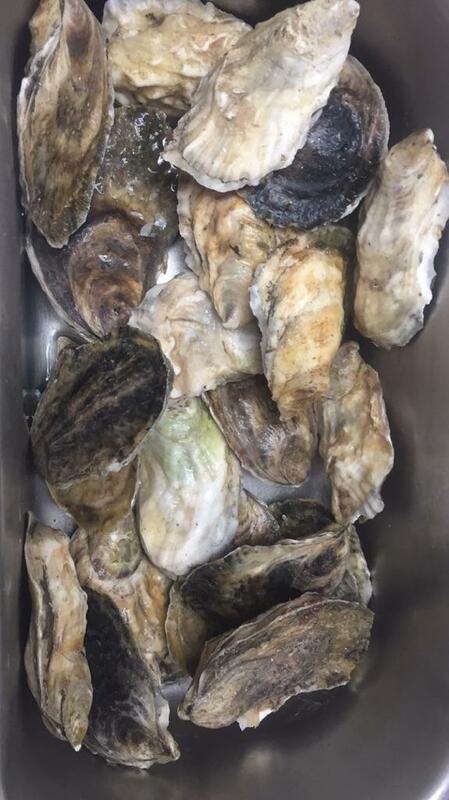 Maine oysters – Maine Lobstermen Forced To Diversify Their Work As Coastal Waters Warm. BEVER: That’s why in this little island estuary, he’s anchored dozens of wire cages in the waterway and filled them with oysters. PUTNAM: This one here is probably 2 years old, I would guess. Looking at the shell, you can see the first year growth, and then all this fingernail-looking growth on the end is from this year. BEVER: This winter, Putnam’s lobster boat will take on a new duty – hauling mature oysters to the mainland, where they should fetch 70 cents or so apiece. PUTNAM: And with the water being warm and the oyster stuff seeming to do well with these warmer waters, that seemed a natural fit. BEVER: Lobstermen up and down Maine’s coast are trying out sidelines in aquaculture – oysters, scallops, even seaweed. Yet, these crops, too, may be at risk from the effects of climate change. BILL MOOK: There is real money at stake, and it’s already costing us. BEVER: Bill Mook runs one of several booming oyster farms located in a fertile estuary of Maine’s MidCoast. He says a costly challenge is emerging – increasingly intense rain events that send polluted runoff into the estuary and shut down the harvest for days. MOOK: We did have three in a row over a period of, like, two months. So you know, cumulatively, that is probably almost $30,000 of lost sales. BEVER: Climate change brings other problems – ocean acidification, which affects shell developments, and potential outbreaks of toxic bacteria that thrive in warmer temperatures. BEVER: But Mook has a solution. MOOK: So this room will hold half a million oysters when it’s up fully running. BEVER: In a cavernous room, thousands of oysters are piled into big, bubbling tanks stacked high in the air. Mook designed this facility expressly to defend the crop against climate change. BEVER: When severe rains threatened recently, his team hustled tens of thousands of oysters out of the estuary and into these tanks. And when runoff, indeed, put the river harvest off limits, these guys had a fresh supply of oysters to keep buyers happy and competitors envious. And Mook says when toxins emerge in the river, he’ll be able to decontaminate the animals right here. MOOK: Climate change is costing us. And yet, it also offers some opportunities that we hope will allow us to be resilient and sustain this business and the people I’ve begun to employ, you know, into the future. BEVER: People like Jeff Auger the farm’s river foreman. He’s one of 20 young workers Mook’s taken on in the last few years. Auger trained to be a lawyer, but he says growth in coastal aquaculture promises a life on the water for him and other young Mainers. JEFF AUGER: You know, at the end of the day, you go out to a bar and you see other young professionals that are on oyster farms. And for communities in areas like this that are kind of struggling, I think it’s the answer. BEVER: If, that is, the industry stays ahead of the climate change curve. Company founder Bill Mook can imagine a day when Maine oysters might have to be hatched and grown entirely indoors, never touching the Wild River. BEVER: But, he adds, that would be a very sad day. For NPR News, I’m Fred Bever, in Portland, Maine.